New Rochelle, NY, October 6, 2016–Extensive biosafety studies of hematopoietic stem cell (HSC) gene therapy, intended to replace a protein that patients with the inherited disease mucopolysaccaridosis I (MPS I) cannot produce, support clinical testing of the stem cell-based gene addition approach in MPS I patients. Evidence derived from these studies not only indicates that the HSC gene therapy is safe and well tolerated in mice, but also that it can produce sufficient amounts of the missing protein to affect MPS I without harming a patient's hematopoietic stem cells, according to an article in Human Gene Therapy, a peer-reviewed journal from Mary Ann Liebert, Inc., publishers. 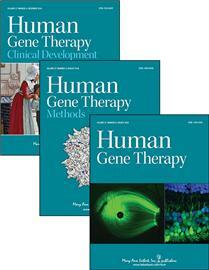 The article is available free on the Human Gene Therapy website until November 4, 2016. The article entitled "Preclinical Testing of the Safety and Tolerability of Lentiviral Vector-Mediated Above-Normal Alpha-L-Iduronidase Expression in Murine and Human Hematopoietic Cells Using Toxicology and Biodistribution Good Laboratory Practice Studies" is part of a special joint issue on stem cell gene therapy in Human Gene Therapy and Stem Cells & Develop-ment guest edited by Luigi Naldini, MD, Scientific Director, San Raffaele Telethon Institute for Gene Therapy, Milan, Italy. A special "upside-down" print issue will be distributed at ESGCT/ISSCR Florence 2016 in October. Ilaria Visigalli, Stefania Delai, Alessandra Biffi, Luigi Naldini and colleagues from San Raffaele Telethon Institute for Gene Therapy, IRCCS San Raffaele Scientific Institute, and Vita Salute San Raffaele University (Milan, Italy), Glaxo Smith Kline R&D (U.K.), Sanofi (Montpellier, France), and Royal Manchester Children's Hospital (Manchester, U.K.), describe the lentiviral vector-based gene therapy approach they developed to deliver normal copies of the alpha-iduronidase (IDUA) gene, which contains a mutation in patients with MPS I, to HSCs. They assessed the safety of the HSC gene therapy method by studying the effects of IDUA gene transfer and production of the enzyme on human and mouse HSCs, and followed the modified HSCs and their progeny in treated mice. "Members of this group have previously shown that lentiviral gene transfer into hematopoietic stem cells can serve as a platform for curative gene therapy of genetic diseases," says Editor-in-Chief Terence R. Flotte, MD, Celia and Isaac Haidak Professor of Medical Education and Dean, Provost, and Executive Deputy Chancellor, University of Massachusetts Medical School, Worcester, MA. "This study sets the stage for a pivotal clinical trial to determine whether MPS I patients may also be successfully treated with this approach."